Great job of painting the waves. Look like the ones in Maine. Only the Canadians braved them. Love it. Especially their shadows! 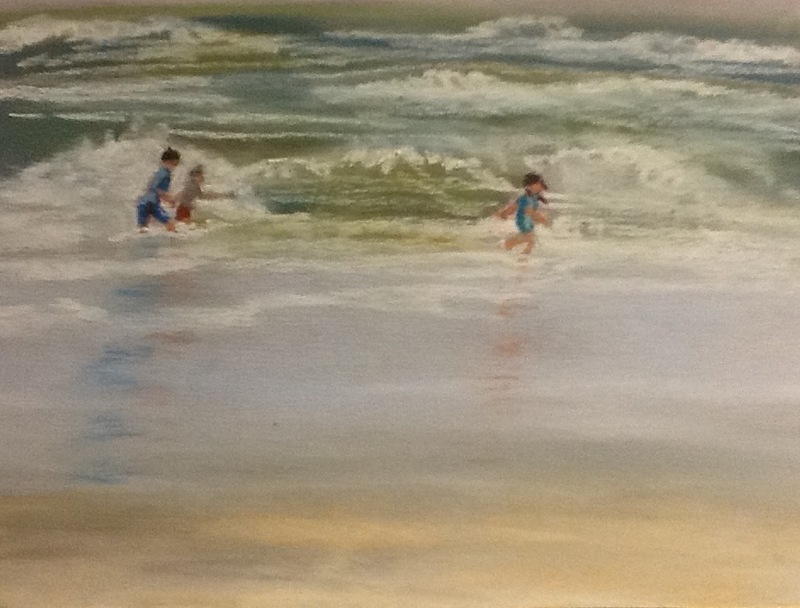 You really captured the action of both the waves and the children. I remember going to the beach when we were children. The rule was “when your lips turn blue, you have to get out of the water”.